I am a COMPLETE newbie to the Samurai world. I enjoy playing the Shogun Total War PC game, which is mostly set during the 1500s, and I have no idea what that period is even called. 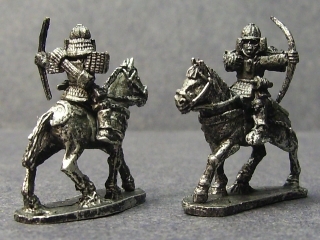 I am wanting to do some 15mm skirmish type gaming using the troop types within the game (Samurai, Ashigaru, No-Dachi, Monks, cavalry, etc.) and shows the differences in these various troop types and weapons they carry. I have come across a few homebrew skirmish rules that seem to have some of the aspects that I am looking for, but I am also open to other suggestions. Looking also for a set of rules in which the figures are mounted singly. Think Force on Force gaming for the 1500s! Looks like a few companies make village type buildings, so terrain shouldn't be an issue. I have seen some suggestions for figure ranges, but my concern is more along of the lines of finding individual figures as I will not be needing 6, 8, or 10 figures of the same type. I foresee players running a small group of 6-10 figures. So I am looking for a company that sells their 15mm figures individually, which maybe problematic. Anyway, looking for some feedback and suggestions. Thanks! That would be the Sengoku period. Two Dragons make a good set of figs, but they are in multi-paks. Peter Pig also does some fine looking sammies. Old Glory 15s make some nice ones too. Old Glory's are nice, but I would suggest the Two Dragons figs for what you want. They are in multi packs, but the packs are smaller than Old Gory's. 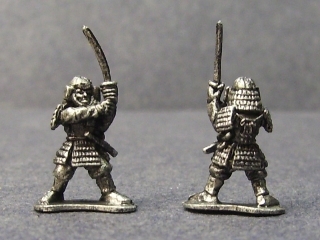 I have painted up some 15mm Peter Pig samurai, and I found them to be great. You can buy them in relatively small bags too, so you can get several different kinds of warriors for a skirmish game without breaking your bank and ending up with a ton of unused miniatures. 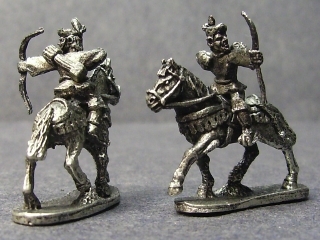 I don't know of any skirmish games that are specifically done with 15mm in mind, but you could probably convert a game made for 28mm by simply swapping inches for cm. I also plan to do some 15mm samurai skirmish in the future, with various manufacturers, but I'm not sure which rules I'll end up using. I have two large 15mm samurai armies. One presents the Takeda clan, the other, Uesegi. The majority of my figures are Peter Pig with a smattering of Two Dragons, which complement them nicely, and Old Glory, which are quite a bit larger. Peter Pig, as pointed out, are very nice and, if you ask Martin nicely, are available individually but with a slight cost increase. 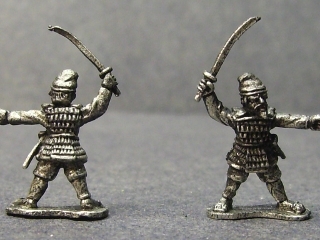 While I focus on large battles, I do recall there being a fair few sets of samurai skirmish rules although I can't recall any being specifically designed for 15mm. Be warned though. The Sengoku Jidai is a fascinating period with all kinds of interesting characters and developments. What starts as a skirmish project can quickly get out of hand. But by gosh its fun. For terrain items, you can't beat Oshiro Models. Excellent guy and really nice buildings, not to mention, a fabulous 15mm samurai castle. Caliver/Minifigs has just started selling the Dark Ages Two Dragons figures individually. Perhaps they will do the same with the Samurai. contact Peter Pig and see if I can order individual figures, or wait until Caliver goes to individual figures for the Two Dragons line. I do like Peter Pig figures, but I think I may slowly start gathering buildings from Hovels, Kerr and King, and especially Oshiro. I'm pretty sure that both Peter Pig and Two Dragons come in packs with a variety of poses. 2D used to sell unit-sized packs with a lot of variety, and PP usually have 2 or 3 poses per pack. Of course, now that I got my head out of my arse, Eureka sells their figures individually. A bit more expensive, but considering that even if I buy smaller packs from other manufacturers I am going to have too many extra figures. They have later period (which I take should be Sengoku) Samurai, Ashigaru, monks, and peasants. Throw in the odd geisha and buy a small village setting from Oshiro and I have a skirmish game! Thanks all for the suggestions and help! Old Glory is best way to go for 15mm. I have over 500 painted up and 500+ unpainted. If you want guys with no-dachi, then you should game the Onin War. The no-dachi and naginata fell out of use and were replaced by the nagae-yari (pike) in the early 1500's. Ohhhh, I LIKE these Viking Forge figures!